Turntimber Ranger ($0.47) Price History from major stores - Zendikar - MTGPrice.com Values for Ebay, Amazon and hobby stores! 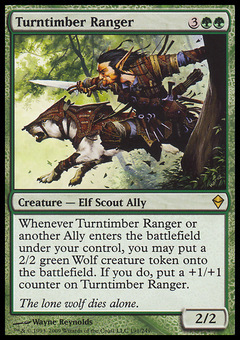 Card Text: Whenever Turntimber Ranger or another Ally enters the battlefield under your control, you may put a 2/2 green Wolf creature token onto the battlefield. 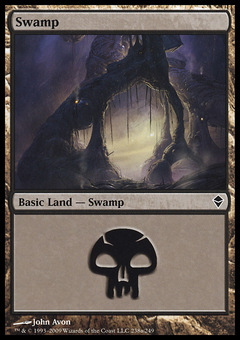 If you do, put a +1/+1 counter on Turntimber Ranger. 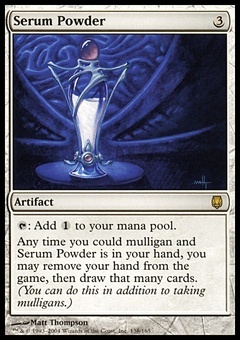 Flavor Text: The lone wolf dies alone.